Born in Moscow, pianist Alexei Lubimov is one of the most strikingly original musicians performing today. His large repertoire combined with his dedication to principle and musical morals make him a notable exception in today’s music scene. Following studies with Heinrich Neuhaus, Alexei Lubimov established an early dual passion for baroque music performed on traditional instruments and 20th-century composers such as Schönberg, Webern, Stockhausen, Boulez, Ives, Ligeti, Schnittke, Gubaidulina, Silvestrov and Pärt. He has premiered many contemporary works in Russia and founded a music festival there: “Alternativa,” where they are featured. He formed a quartet dedicated to baroque music during the 1970s when international travel became impossible. While performing old and new music, however, Alexei Lubimov has continued to be an outstanding performer of classical and romantic repertoire as his many recordings show. As political restrictions were lifted in Russia during the 1980s, Alexei Lubimov emerged among the first rank of international pianists giving concerts in Europe, North America and Japan. He has appeared with such orchestras such as the Helsinki-, Israel-, Munich-, St. Petersburg, and the Los Angeles Philharmonic, the Royal Philharmonic in London, Russian National Orchestra, Orchestre Phil. de Radio France, Deutsches Symphonieorchester Berlin, Toronto Symphony and New York’s Mainly Mozart Festival Orchestra under the most important international conductors: Ashkenazy, Järvi, Kondrashin, Hogwood, Mackerras, Nagano, Norrington, Saraste, Salonen, Janovski and Tortelier. He has given historic performances with the Orchestra of the Age of Enlightenment, Collegium Vocale Gent, Wiener Akademie and Musica Angelica. In the world of chamber music, he performs regularly with famous soloists and ensembles at festivals throughout the world. In recent seasons he has performed with the Seattle Symphony, City of Birmingham Symphony Orchestra, Russian National Orchestra in Moscow and the Tonkünstlerorchester (2 concerts in the Great Hall of Vienna’s Musikverein) as well as innumerable solo recitals. He toured with the Haydn Sinfonietta playing Mozart concertos and played Mozart with the Orchestra della Svizzera Italiana under Robert King, Haydn with the Camerata Salzburg under Sir Roger Norrington in New York, Pärt’s Lamentate with RSO Vienna under Andrey Boreyko at the Musikverein and with the Tampere Philharmonic. Other highlights include performances of Prometeus by Scriabin at the Salzburg Festival and in Copenhagen and performances with the Orchestra of the Age of the Enlightenment (Beethoven), Munich Philharmonic (Silvestrov), SWR Stuttgart (Pärt), DSO Berlin (Pärt), Danish National Symphony Orchestra (Pärt), Anima Eterna Brugge and Russian National Orchestra. Alexei Lubimov has become a frequent performer in New York City, where he appeared at Lincoln Center’s White Light Festival with the Budapest Festival Orchestra, in solo recitals and collaborations with the Merce Cunningham Dance Company at the Baryshnikov Arts Center. In July 2015 he returned to Lincoln Center for a recital at the Mostly Mozart Festival. In December 2015 has was named the inaugural Cage Cunningham Fellow by New York’s Baryshnikov Arts Center where he will receive $50,000, over two years, in support of new works and collaborations. His recordings have been issued on Melodia, Harmonia Mundi, Linn, Erato, BIS and Sony featuring the complete Mozart sonatas, Schubert, Chopin, Beethoven and Brahms as well as music of the 20th century. 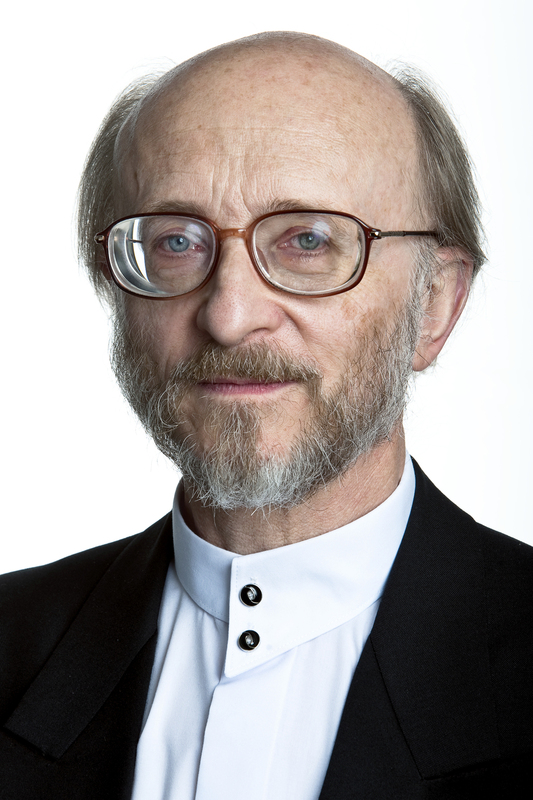 He has recorded regularly for ECM, producing some unusual CDs of particular note: Der Bote, with music of Liszt, Glinka and CPE Bach alongside John Cage and Tigran Mansurian; Arvo Pärt's Lamentate with the Stuttgart Radio Symphony; Messe Noir, with music of Stravinsky, Shostakovich, Prokofiev and Scriabin; Misterioso with music of Silvestrov, Pärt and Ustvolskaya; the complete Debussy Preludes and John Cage As It Is with the singer Natalia Pschenitschnikova, released in 2012 His recordings of Schubert's Complete Impromptus, Beethoven's Three last Sonatas, Mozart's Complete Two-piano pieces (with Yuri Martynov) and Haydn's Seven Last Words in the keyboard version - all on historical instruments - were released between 2009-2014 on ZZT/Outhere France. “At the Kaplan Penthouse, pianist Alexei Lubimov brought a vivid range of colors and pianistic firepower to his program, which included selections from Debussy’s ‘Préludes’ Book 1 and Book 2, the dense textures contrasted with the spare delicacy of Satie’s ‘Gymnopédie No. 1”’ and ‘Gnossienne No. 5.’ There were three encores: the Prelude from Debussy’s Suite Pour le Piano and some Mozart; a muscular, meaty rendition of the Allegro con spirito from Sonata in D and an introspective take on the Andante cantabile from Sonata in C. Given the reception of the rapt audience it seemed that most listeners (myself included) would have been happy to stay and listen to Mr. Lubimov for another hour." A provocative mix, thrillingly played. “It was right to kick off with the programming of Russian veteran Alexeï Lubimov. His was a perfectly symmetrical sequence, bookended by Mozart sonatas as you never quite heard them before, working in between through 20th-century developments both forwards and backwards to a new simplicity. Lubimov’s touch in the Mozart was dry, effortlessly agile and creative. Lubimov’s biggest coup was to plunge into Schoenberg’s Op 25 Suite as if the opening were merely another Mozart sonata cubed. He kept the dance rhythms taut and supportive to the emerging serialism; the Musette sounded like an early Prokofiev Rigaudon. The toccata-fire was even and impressive. Most striking were the centerpieces. As Lubimov took us on a journey from Pärt's early serialism to the tintinnabulating purity of Für Alina, we caught the full glare of the pianist's attack surrounding a moving meditation in the Op 2 Partita. On the other side of the interval, early minimalism was kept even and noble in the unison and then chorale-harmonic sphinxes of Satie's Ogives. Two encores suggested pure orchestral pianism." “Alexei Lubimov pitched muscular pianism against the delicate fortepianos in his peerless recording of Schubert's Impromptus, my disc of the year." “In Schnittke's solo piano opening, Alexei Lubimov shows the requisite temperament and control of sonority, and both he and the Kellers keep us inside the Quintet's world through the first movement's obsessive, quarter-tone-inflected bell-tolling, through the ghost-train-ride of the film-derived Tempo di valse, through the catatonic laments of the nvo succeeding slow movements, all the way to the anxious transfigurations of the finale. Curiously, Lubimov goes against the score in the final phrase, where Schnittke asks for pitched notes to fade into the noise of fingertips tapping on the keys, echoing the pedal-knocking at the end of the first movement. But his carefully graded diminuendo is effective enough in its own way, and overall this is the only recorded performance I know of to rival Ludmil la Berlinslcy and the Borodins. “Mr. Lubimov’s piano playing had an easier time, offering a shining, easy beauty that filled the hall."